“When patients come to the glaucoma clinic the most important thing for them is to see someone who answers their questions and knows what they’re doing,” says Mark Deacon. Deacon is the clinical lead managing an optometry-led Ophthalmic Diagnostic and Treatment Centre (ODTC) for glaucoma patients, which was set up as a pilot partnership between RNIB and Cwm Taf Health Board in south Wales (and now funded by the board). In the four years since it has been running, its approach has become part of the accepted best practice in Wales for managing glaucoma patients. 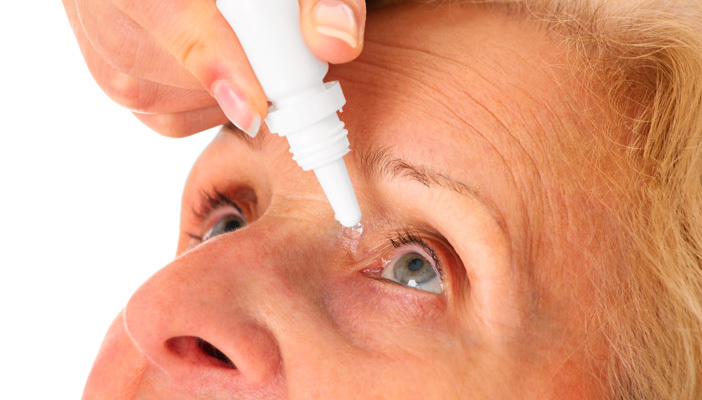 More broadly, it is part of a growing trend towards using the full range of health care professionals to deliver different aspects of ophthalmic health care scuh as nurses delivering eye injections and running AMD clinics. With nearly 200 people in Wales – and nearly 3,300 in England – certified as visually impaired as the result of glaucoma, it’s the second most common cause of sight loss in the UK. It is entirely treatable once it is diagnosed, but the big problem is that it is often not picked up till it has caused damage that cannot be reverse (the treatment arrests further damage). People living in poverty and deprivation are more likely to present with advanced glaucoma as well. “Glaucoma doesn’t hurt you,” says Deacon. “The sight changes happen insidiously over many years, they feel they can see and read and don’t see the point. People have to take drops, every day of their life, for something they can’t see change.” However – and perhaps surprisingly – RNIB’s evidence and service impact manager, Helen Lee, points out that the evidence from the Cwm Taf project shows that the problem was not so much that patients failed to turn up to appointments, but that the appointments themselves were delayed or, frequently, rescheduled. The existing clinics simply did not have the capacity to treat the patients on time. The research conducted for RNIB Cymru which underpins the original ODTC found consultant ophthalmologists in six Welsh Health Boards of the opinion that patients were losing their sight as a result. Yet, as Deacon says, many patients do not need to see a consultant at all – they need someone with the right skills and training, certainly, but this can be another eye health professional. Accordingly, RNIB and Cwm Taf Health Board agreed to work in partnership to pilot the new ODTC for people over 40 with ocular hypertension and ‘stable’ glaucoma for people aged over 40 living in a particular area within the Rhondda Valley which is characterised by high socioeconomic deprivation. “It’s one of the five projects that RNIB is running across the UK, looking at interventions that can help prevent sight loss,” Lee explains. The Rhondda project also started off as a nurse-led service, but for a number of reasons this did not work very well. These included location – the clinic is quite a long way from a specialist ophthalmology- led clinic, and during the pilot it was not linked electronically to other ophthalmology practitioners electronically either. As a result, a number of patients were still referred back to hospital afterwards. The London School of Hygiene and Tropical Medicine has conducted an independent evaluation of the ODTC, including a comparison with the experiences of similar patients using hospital clinics. It found that waiting times had improved; patients had to attend fewer appointments (because of the one-stop service); almost all patients were happy with the service; and capacity had improved in consultant-led glaucoma clinics too. The one anomaly was that patients at the ODTC were less likely to be shown how to use their drops. “To be honest we didn’t realise they didn’t know how to put the eye drops in,” Deacon says frankly. “Now we show them what to do, in clinic.” “It shows how important it is to have this type of evaluation,” Lee adds. Austin and Lee both caution against taking the findings as a complete green light for this type of clinic. “This study has shown that if additional capacity is provided, backlogs can be reduced,” says Austin. “It’s demonstrated that very well, and the patients concerned were highly satisfied with the service and the professionalism of the staff. But a lot of the patients won’t have any symptoms – glaucoma treatment is all about prevention, and of course we don’t know for some years whether the patients have deteriorated more or less had they not had this service.” However, he points out, even if we do not yet know whether the clinic is identifying the small number of patients who’re making a rapid progress to glaucoma, the first and crucial hurdle- getting them to a clinic in the first place – is being overcome. Within the area, the service is being rolled out, providing more frequent clinics and making them available in other hospitals as well.